Wondering what to do if you’re filling falls out. It has happened too many of us: like if you are eating, and suddenly you feel that foreign object in your mouth. Is it something in the food, or did my filling fall out? Then don’t worry about that. If you’re filling falls off it is generally the time to call and schedule an appointment to your Dr. Mark Walker dentist. Don’t wait until your tooth is not hurting, it is not necessary that it hurts at that time but you must be aware of this. But it is recommended to visit your dentist within a week. The absence of pain is not a reason to delay seeing a dentist since patients who report that a filling has fallen out can often have decay present or may have a piece of the tooth broken as well. Once you visit your dentist, he will most likely need to take a dental radiograph or two so that he can diagnose the level of the problem that how filling falls and what is the reason behind this. If there is no decay present in your tooth you may just require a new filling. If decay is present, the dentist will need to clean it out prior to refilling the tooth. Bear in mind that in the event that the decay has compromised the pulp, your tooth may require a root canal procedure and teeth with extensive missing tooth structure may be candidates for a crown instead of a filling. This is the actual procedure. Regular dental care is always recommended to detect potential problems with fillings as well as with the other problem of teeth. The experienced dentists likeDr. Mark Walkercan easily identify open margins or uneven wear before you realize there may be a problem. Dental visits can also provide instruction in proper oral hygiene to control bacterial plaque, a leading cause of tooth decay. Decay that forms around the margin of a filling will compromise that restoration. Without regular care, you could suddenly be wondering what to do if your filling falls out. No filling will last forever, and regular visits to the dentist will help determine when is the best time to be proactive and replace a restoration. However, a filling may fall out unexpectedly like there is not an exact timing of filling that it falls in how many days or months, and you may be faced with pain, discomfort, and a possible emergency situation. There are lots of factors which can contribute to a filling becoming chipped or broken. 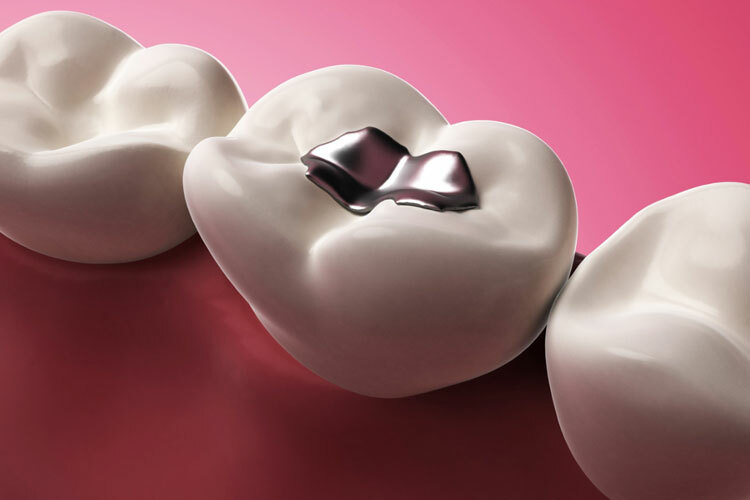 It can be attributed to tooth wear from grinding or clenching, to bacteria leaking into the margins of the fillings and causing decay or to the simple fact that the restoration needs replacement. Either way, left untreated, a lost or chipped filling could lead to a root canal and possible loss of the tooth.